WHO MIGHT BENEFIT FROM EQUINE ASSISTED ACTIVITIES? 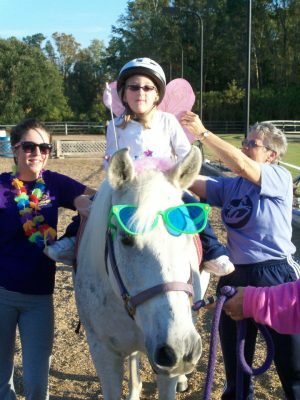 Therapeutic Riding and Other Equine Assisted Activities Benefit a Wide Variety of People with Disabilities. 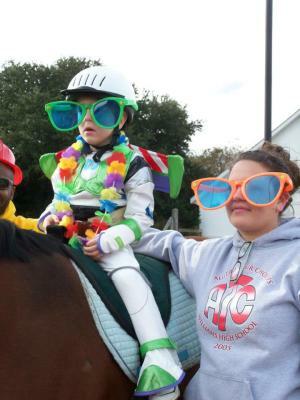 Individuals who are age 4 and above, and who have a diagnosed physical, cognitive, or psychological disability, are welcomed to apply to participate in a Rocking Horse Ranch program. The application process includes an in person evaluation, a medical information sheet that must be signed by the applicant’s physician, and a participant information form. Please download our Welcome letter here . A scholarship application is included for those students who are low-moderate income. All students are required to pay a deposit at the time their application is submitted. Final admittance into the program is based on the evaluation by our staff to be sure that we can safely and effectively accommodate each prospective student. Please call the barn to schedule an evaluation and for more information at 252-752-0153 . We look forward to the chance to meet you and give you a tour of the barn. Equine assisted activities and therapies include a variety of opportunities. We offer several different programs, including Therapeutic Riding, Interactive Vaulting, Ground School, Equine Services for Heroes, and Healing with Horses: Cancer Survivors group, co-sponsored with Vidant.